5 Littelfuse 253 Series 0253015.V PICO® II Fast-Acting Fuse MIL-PRF-23419. 15A. 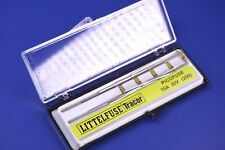 90% of the Littelfuse PICO Fuses are Counterfeirts. 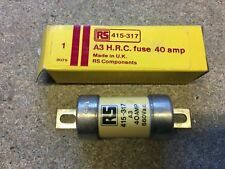 $RS COMPONENTS 413-529 50 AMP HRC FUSE LINK. $BILL 60 AMP TIS FUSE LINK. 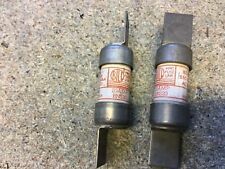 $5 X RS COMPONENTS 156-8787 20AMP FF FUSES. Brush 16LET BS 88 Style Stud-Mount Semiconductor Fuse Tap here to view a full product description. .
$RS COMPONENTS 415-317 40 AMP HRC FUSE LINK. Brush 7LET BS 88 Style Stud-Mount Semiconductor Fuse Tap here to view a full product description. .
British Standard Fuse. High Rupture Capacity. Part No. 1SCA107792R1001. Bridge Rectifier. ABB OF series fuse links are specifically designed to react to temperature rise and as such limit current very reliably. The OF series of fuse links contain granulated quartz which binds the temperature generated by the arc in the short circuit. Part No. 1SCA107795R1001. Bridge Rectifier. ABB OF series fuse links are specifically designed to react to temperature rise and as such limit current very reliably. The OF series of fuse links contain granulated quartz which binds the temperature generated by the arc in the short circuit. 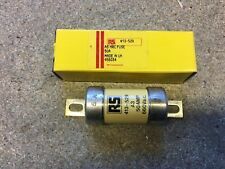 CED CNS6 6Amp NS Type HRC Fuse BS88 Industrial Fuse New Not Used. Rated Current, 1A. Specification, 5 x 20mm. Length, 20mm / 0.787". Fuction, Fast Blow. 100 pieces glass tube fuses with fast blow function. Color, Clear, Silver Tone. Need professional knowledge to use this product. 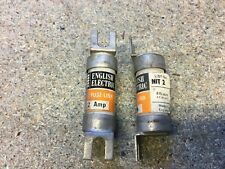 $2 X ENGLISH ELECTRIC 2 AMP NIT2 FUSE LINKS. 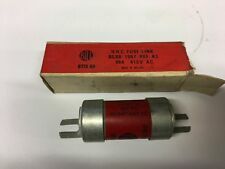 $1 x VINTAGE HAWKER TIA FUSE LINK 100 AMP. $2 X BILL 20 AMP BNS20 FUSE LINKS. 20 Pieces RO15 ( RT18 RT14 ) Ceramic Cylindrical Tube Fuse 6 Amp 380V 10mm x38mm. Model :RO15 (RT18 RT14). It is mainly used for protecting the electrical circuit against overload and short-circuits. Ferraz P300508. Sicherung 550A 1250VAC. Features:Low Breaking Capacity. Fuse Type:Fast Acting. Mainly used for protecting the electrical circuit against overload and short-circuits. Also may derive for protecting the semiconductor device. 100 pieces glass tube fuses with fast blow function. Rated Current, 3A. Fuction, Fast Blow. Color, Clear, Silver Tone. Length, 20mm / 0.787". Weight, 59g. 2 Pcs 100W 680 Ohm Screw Tap Mounted Aluminum Housed Wirewound 81mm x 21mmx 15mm. Resistance Value :680 Ohm. Mounted Hole Size :1.8mm/ 0.07", 3mm/ 0.12". Casing Material :Aluminum. Weight :58g. Note: For longer service life, the actual load power connected to this product should be less than 70% of the rated power. 2Pcs RL1-15 AC 380V 6A Ceramic Housing Screw Type Fuse Links 32mmx 16.5mm x 13mm. Rated Current, 6A. Mainly used for protecting the electrical circuit against overload and short-circuits, it also may derive for protecting the semiconductor device. 100 Pcs Fast Blow 5mm x 20mm Glass Tube Fuses 250V 5A Amp Clear, Silver Tone 79g. 100 pieces glass tube fuses with fast blow function. Rated Current, 5A. Specification, 5 x 20mm. Length, 20mm / 0.787". 20 Pieces RO15 ( RT18 RT14 ) Ceramic Cylindrical Tube Fuse 5Amp 380V 10mm x 38mm. Model :RO15 (RT18 RT14). It is mainly used for protecting the electrical circuit against overload and short-circuits. Model :RT14 RT18 R015. Rated Current: 10A. Type : Fast Blow. Mainly used for protecting the electrical circuit against overload and short-circuits, it also may derive for protecting the semiconductor device. 100 pieces glass tube fuses with fast blow function. Features :Fast Blow. Color: Silver Tone, Clear. Material :Glass. Weight :122g. Need professional knowledge to use this product. 100 pieces glass tube fuses with fast blow function. Features :Fast Blow(F) Low Breaking Capacity(L). Quantity :100±2% Pcs. Color :Silver Tone, Clear. Need professional knowledge to use this product. :RT19 RT14 RT18 R015. Features Cylindrical cap and white ceramic body, high sealing and sensitivity. Material : Ceramic. Length :38mm / 1.4". Total Weight :119g. Rated Current: 63A. Mount Type: DIN Rail. 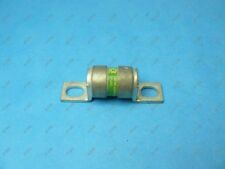 Fit Fuse Size: 51 x 14mm/ 2" x 0.5"(L Dia) (Not Included Here). You can open the plastic cover to install the fuse, which is not included here. Net Weight :323g. Type : Fast Blow. Weight :204g. 10 Pcs AC125V/15A 250V/10A 14mm Thread Panel Mounted Fuse Holder For 6x30mm Fuse. This panel mounted fuse holder is suitable for 6x30mm type fuse. Thread Dia: 14mm/0.55". Holder Size: 50 x 19mm/ 1.96" x 0.74"(L D). Mainly used for protecting the electrical circuit against overload and short-circuits, it also may derive for protecting the semiconductor device. Weight :115g. Model :R015. 20 Pieces RO15 ( RT18 RT14 ) Ceramic Cylindrical Tube Fuse 1A 380V 10 mm x 38 mm. Model :RO15 (RT18 RT14). It is mainly used for protecting the electrical circuit against overload and short-circuits. 100Pcs Glass Fuse 6 mm x 30mm 15 Amp 250 Volts Quick Fast Blow Silver Tone Clear. Specification :6 x 30mm. Features :Fast Blow(F) Low Breaking Capacity(L). 100 pieces glass tube fuses with fast blow function. Model :R015 RT14 RT18 RT19 gG10A. Rated Current: 10A. Mainly used for protecting the electrical circuit against overload and short-circuits, it also may derive for protecting the semiconductor device. 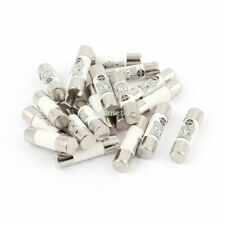 90 Pcs 250V 15A 6 mmx30mm Cylindrical Ceramic Tube Fuses Link White, Silver Tone. Rated Current: 15A. Mainly used for protecting the electrical circuit against overload and short-circuits, it also may derive for protecting the semiconductor device. Model :RO15 (RT18 RT14). It is mainly used for protecting the electrical circuit against overload and short-circuits. The rated breaking capacity is to 100KA. They conform to national standard GB13539 and international electrical committee standard IEC60269. 20 Pcs 5mm x 20mm Electrical Panel Screw Mounted Fuse Holder Black, Silver Tone. This panel mounted fuse holder is suitable for 5 x 20mm type fuse. Fuse holder is only, fuse is not included here. Fit for :5 x 20mm / 0.2" x 0.79" Fuses. 100 Pcs Electrical Component 250V 30A Glass Fuse Tube 5 x 20mm 0.19" x 0.78" 60g. Ampere, 30A. Net Weight, 60g. Item information. 9 Pcs AC 125V 15A AC, 250V 10A Panel Mount Fuse Holder for 6mm x 30mm Fuses 86g. This panel mounted fuse holder is suitable for 6mm x 30mm type fuse. Fuse holder is only, fuse is not included here. 20Pcs 500 V 10A R015 RT19 Fast Blow Acting Ceramic Fuse Link 10x38mm Silver Tone. Model No. : R015 RT19 RT14 RT18. Type: Fast Blow. Features Cylindrical cap and white ceramic body, high sealing and sensitivity. Fit for 5mm x 20mm Fuse Tube. 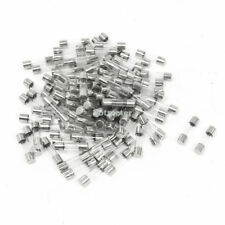 Fit Fuse Body Size:20 x 5mm/ 0.7" x 0.1" (L D). Function : Fast Blow. Material : Alloy. Pin Pitch :5mm / 0.2". 2 pin DIP mounted. Weight :41g. Color : Silver Tone. 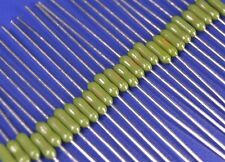 20Pcs 500V 10A Ceramic Tube Cylindrical Fuse Links 10 x 38mm White, Silver Tone. 20Pcs 500V 10A Ceramic Tube Cylindrical Fuse Links 10 x 38mm White, Silver Tone. Features Cylindrical cap and white ceramic body, high sealing and sensitivity. 20Pcs 500V 8A Ceramic Tube Cylindrical Fuse Links 10mm x 38mm White, Silver Tone. Mainly used for protecting the electrical circuit against overload and short-circuits, it also may derive for protecting the semiconductor device. Model No. : RT18RT14. Rated Current: 40A. Features Cylindrical cap and white ceramic body, high sealing and sensitivity. Length :51mm / 2". 100 Pcs 20A Glass Tube Silver Tone Clear AGU Fuse for Motorcycle 30mm x 6mm 121g. Glass tube will let user to clearly inspect the fuse's condition inside. Type : Glass Tube. Color : Silver Tone, Clear. 80 Pcs Fast-blow Acting Ceramic Fuses Link 5mm x 20mm 250V 20A White Silver Tone. Rated Current: 20A. Total Size:5 x 20mm/ 0.2" x 0.79" (D L). Type : Fast Blow. Mainly used for protecting the electrical circuit against overload and short-circuits, it also may derive for protecting the semiconductor device. 20 Pcs RT14 RT18 RO15 500V 6 Amp 10mm x 38mm Cylindrical Ceramic Tube Fuses Link. Model :RT14 RT18 RO15. Mainly used for protecting the electrical circuit against overload and short-circuits, it also may derive for protecting the semiconductor device. Protect the circuit and easy to install. Clear, vibration resistant, snap fit cover. Way : 4 Way. Color : Black, Clear. Can be secured via 2 pre moulded holes. Model :RT14 RT18 R015. Type : Fast Blow. Mainly used for protecting the electrical circuit against overload and short-circuits, it also may derive for protecting the semiconductor device. Protection against overload and short circuit in electric lines.